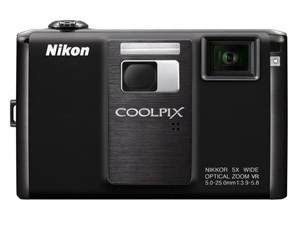 B&H, the New York camera superstore, shows us the latest in pocket camera gadgetry from Nikon. Apparently not satisfied with the typical point and shoot, Nikon’s new Coolpix S1000pj combines a 12.1 megapixel camera, video capabilities, and a built-in projector that shows both stills and video. That’s right, I said a built-in projector. Just imagine your next fishing adventure with your buddies…. Fish all day, come back, pop open a barley soda and enjoy a slide show or movie on your tent, cabin, or lodge wall of all your fishing conquests. The days of 5 people crowded around squinting at microscopic LCD’s, or lugging your laptop for picture viewing might be over…. Watch a live demo of the camera here.